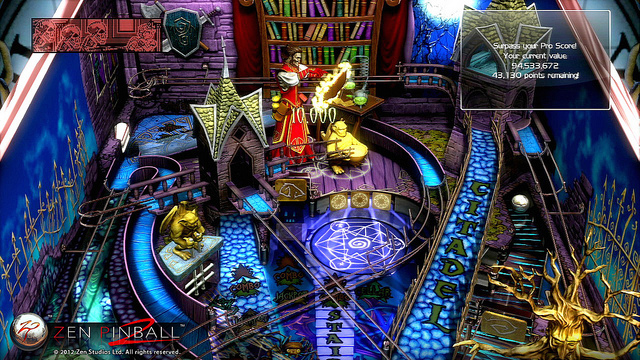 Zen Pinball 2 marks a PlayStation 4 milestone: The first stereoscopic 3D game to be available for Xbox One OR PS4. Releasing today, the 3D functionality will carry over from the PlayStation 3. Players can also carry over previously purchased tables onto the PS4. Instructions for the content transfer can be found on the PlayStation Blog. Note tables can only be imported from the PS3; if you purchase them on PS4, they cannot be used for the previous generation edition. While neither system supports 3D Blu-ray yet, gaming will end up beating out the movie format’s application. Wii U owners should take note their console was actually first on the 3D race. Assassin’s Creed III offered 3D functionality at launch, and remains the only game on the hardware to do so.